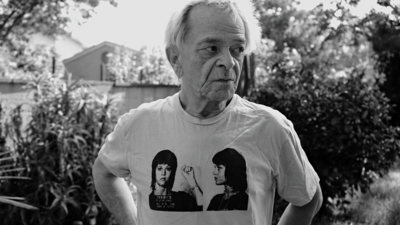 Gary Indiana is a novelist and critic who has chronicled the despair and hysteria of America in the late twentieth century. 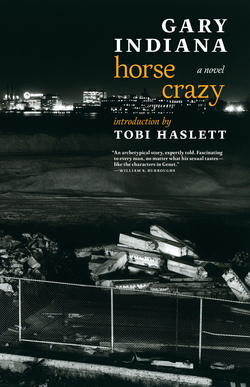 From Horse Crazy (1989), a tale of feverish love set against the backdrop of downtown New York amid the AIDS epidemic, to Do Everything in the Dark (2003), "a desolate frieze of New York's aging bohemians" (n+1), Indiana's novels mix horror and bathos, grim social commentary with passages of tenderest, frailest desire. With 1997's Resentment: A Comedy, Indiana began his true crime trilogy, following up with Three Month Fever: The Andrew Cunanan Story (1999) and Depraved Indifference (2002). Together, the three novels show the most vicious crimes in our nation's history to be only American pathologies personified. In 2015, Indiana published his acclaimed anti-memoir, I Can Give You Anything But Love. 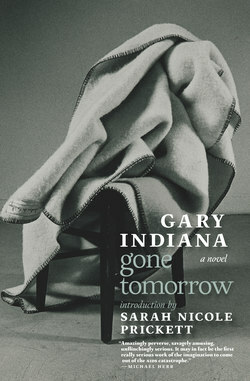 Called one of "the most brilliant critics writing in America today" by the London Review of Books, "the punk poet and pillar of lower-Manhattan society" by Jamaica Kincaid, and "one of the most important chroniclers of the modern psyche" by the Guardian, Gary Indiana remains both inimitable and impossible to pin down.